In March, I wrote about the terrible sleep habits of the characters in House of Cards. I disapproved of Frank Underwood’s late-night computer work in the Oval Office, his new midnight iPad gaming habit, and Claire taking her laptop to bed with her. But I must confess my hypocrisy. Despite my preaching – and despite being a sleep researcher myself – the last thing I do before I flip off the lights and snuggle into my bedsheets is play games on my iPhone. I know, I’m bad – but I also know I’m not the only guilty person here. Although evidence suggests that the blue light emanating from phones, tablets, laptops, televisions and e-readers can affect the quality of our sleep – in turn affecting our health and well-being – many of us can’t help logging in and tapping away when we should be winding down. A Time/Qualcomm poll of 5,000 people worldwide suggests that nearly a quarter of those between the ages of 18 and 24 generally don’t sleep as well because of technology. Even worse, 40-75% of folks across all age groups report keeping their phones within reach while they sleep at night. But there might be a solution. Recently, orange-tinted glasses, or “blue blockers,” were touted by the New York Times as a good option for those who simply can’t avoid technology before bed. As a concerned scientist, I decided to do an experiment on myself. 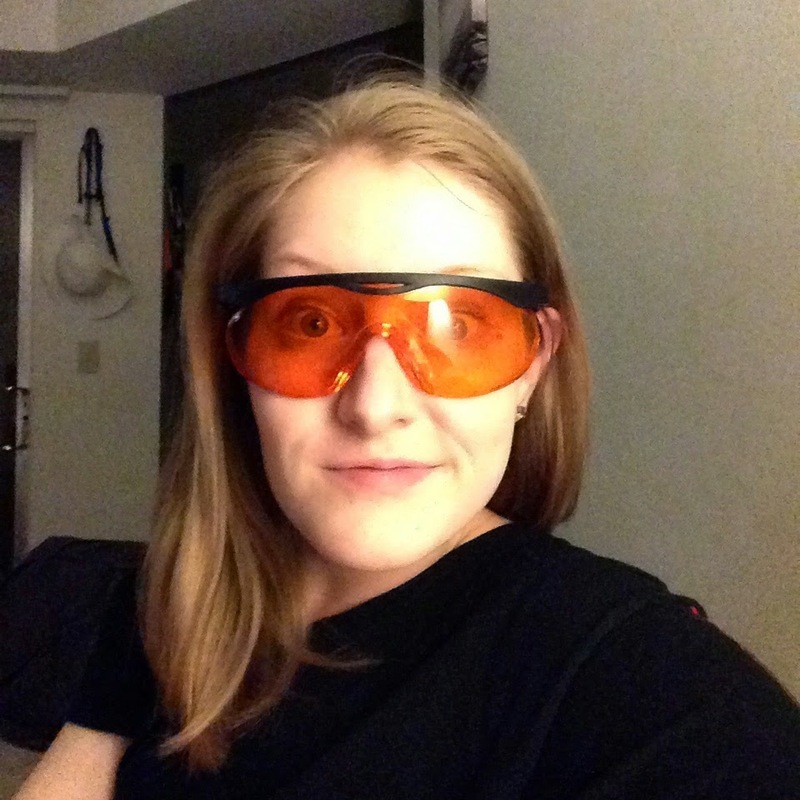 I hopped onto Amazon, bought an $8 pair of orange glasses, and formulated my research plan. Without changing any of my other habits, would wearing these glasses an hour before bed improve the quality of my sleep? 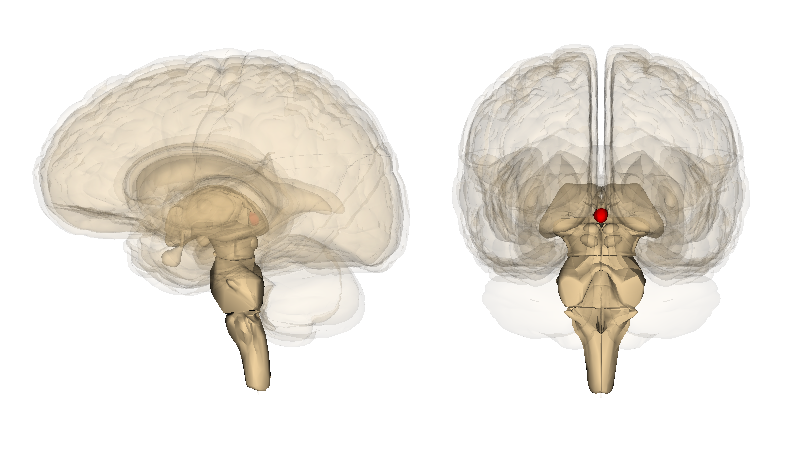 Near the center of our brain, tucked between the folds of an important brain structure called the thalamus, we have a small endocrine gland called the pineal gland. When light-sensitive cells in the eye’s retina detect light, a signal is sent to a tiny region called the suprachiasmatic nucleus, which is important for synching our bodies with nature’s 24-hour light/dark cycle. Nerves from the suprachiasmatic nucleus then travel through several different tracts and eventually reach the pineal gland. At night time, when it’s dark, the pineal gland is activated to produce a hormone called melatonin, which promotes feelings of sleepiness. Although all wavelengths of light suppress melatonin production, the pineal gland is particularly sensitive to light in the blue range (460-480 nanometers). In a 2006 study by Steven Lockley and Harvard colleagues, 16 healthy adults were exposed to 6.5 hours of either blue or green light. Compared to green light, blue light exposure suppressed melatonin production for more than twice as long (90 versus 40 minutes). Blue light was also associated with decreased feelings of sleepiness and decreased delta (“slow-wave”) brain activity while awake, suggesting that blue light enhances alertness both subjectively and objectively. Unfortunately for us, the alluring glow of our devices is primarily composed of blue light – and it’s estimated that 95% of Americans use one of these devices at least one hour before bedtime. 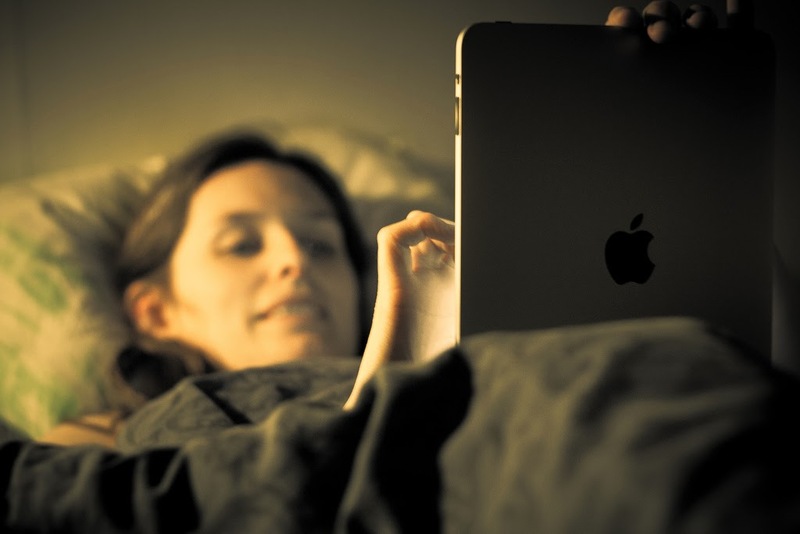 In December, Penn State University professor Anne-Marie Chang and Harvard colleagues reported that, compared to reading a paper book before bed, iPad use increases the time it takes to fall asleep, decreases rapid eye movement (REM, or dreaming) sleep and decreases feelings of sleepiness in the evening as well as alertness the next morning. So how can we block out the blue? In 2009, a pair of doctors at Samaritan Health in Oregon had 20 volunteers try either blue-blocking (amber) glasses, or yellow-tinted glasses (the control group, which only blocks ultraviolet light). Compared to controls, those who wore amber glasses for three hours before bedtime reported increased sleep quality and enhanced overall mood. In a similar study published in January, Stéphanie van der Lely and colleagues in Switzerland studied 13 teenage males who used LED screens before bedtime. 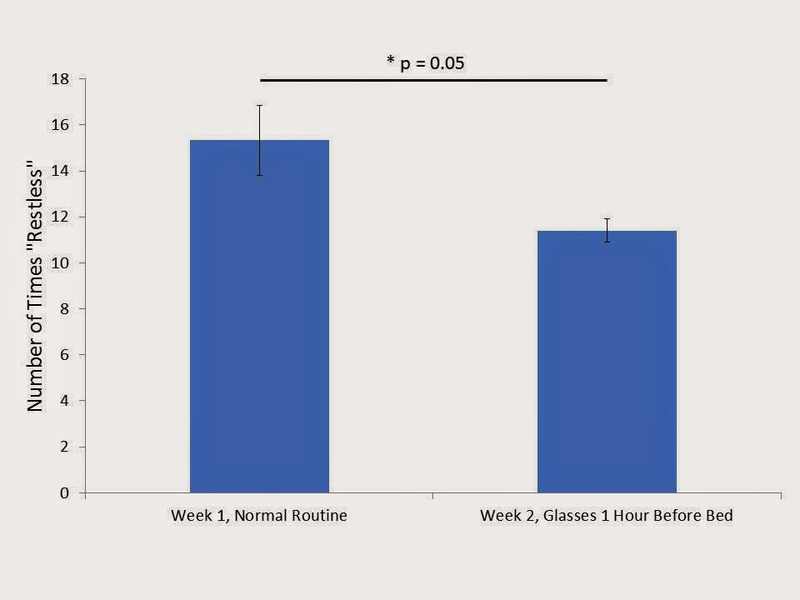 Wearing blue-blocking glasses for two weeks, compared to clear lenses, significantly increased melatonin production in the evening and decreased alertness before bedtime. Their EEG sleep study, however, yielded no differences in sleep stages between the two groups. On a typical workday, I go to bed at 11:30pm and set my alarm for 7:30am, so I did my best to adhere to this strict schedule for two weeks for my experiment. During the first week, I recorded baseline data. In the second week, I donned my glasses for one hour before bed, but otherwise engaged in my normal night time routine of TV-watching, phone-browsing, reading, and kitty playtime. I collected data in two ways. For objective data, I wore my Fitbit Flex, a wireless activity tracker that tells me how long I sleep and how many times I’m “restless” throughout the night. Devices like Fitbits and research actigraphs tend to overestimate total sleep time and misidentify “wake” as “sleep” compared to standard sleep measures. But reliability is still high for Fitbit (97-99%), meaning that even if my data are not as accurate as that from a sleep lab, I can still trust that the device is measuring my sleep consistently from night to night. I also recorded subjective (self-reported) data. While the average scientist may put more focus on objective data, subjective reports are equally important in the field of sleep medicine. After all, these are a major component of how insomnia is diagnosed. Wearing orange-tinted glasses for an hour before bed increased my total sleep time by an average of 20 minutes per night (425.8 vs 446.0 minutes, on average) in Week 2. This difference, however, is not statistically significant. The p-value was 0.20, meaning that I would expect any differences between Week 1 and Week 2 to be due to random chance 20% of the time, which is too high. Typically, we like to see a p-value of 0.05 or less to feel reasonably confident about our test groups being different. 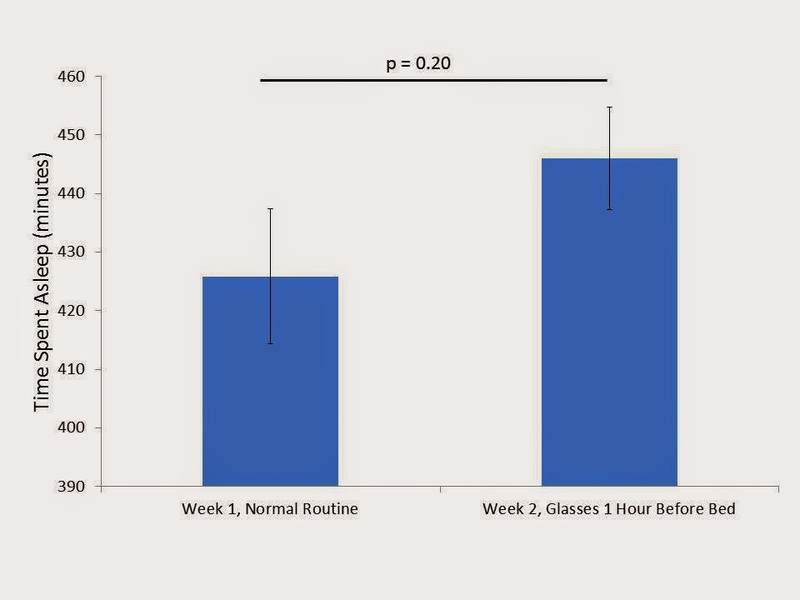 Performing more trials (in other words, exposing myself to each condition for more than seven days each) would likely reduce my night-to-night variability in sleep time, thus lowering the p-value. I then analyzed the Fitbit data for the number of times I was recorded as being “restless.” While I was restless an average of 15.3 times each night during Week 1, this dropped to an average of 11.4 times per night when I wore my orange glasses for an hour before bed. This was a statistically significant difference, as the p-value was equal to 0.05. Subjectively, I felt that I slept better on nights when I wore my glasses before bed. I typically find myself waking on and off between 5:30am and 7:30am, but on days when I wore my glasses, I didn’t wake until 7am. Most of my notes also indicate that I felt more refreshed on awakening during week two. Of course, I knew what I what test condition I was experiencing and what I “should” expect from each – so I cannot be objective in my interpretation of these data. 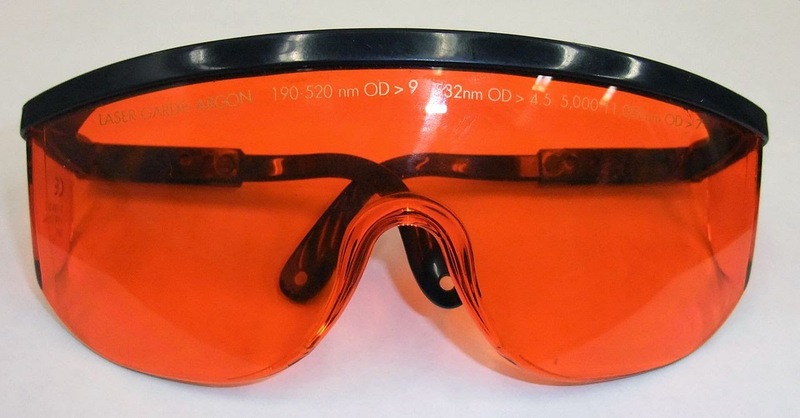 Orange-tinted glasses aren’t the miracle cure for the world’s sleep deprivation woes, of course. But if you’re looking for a simple way to potentially improve the quality of your sleep, there’s no harm in giving them a try. They’re inexpensive, and sleep aids like melatonin supplements are shown to lose their effectiveness over long-term use, nor has their long-term safety been tested. There are also computer programs like f.lux and phone apps like Twilight to block the blue light from your screens during evening hours, and you can even purchase blue light screen filters for your devices. But everybody is different. If you have persistent, troublesome sleep problems, consider seeing a sleep medicine specialist. Or you can just exercise self-control (unlike me) and avoid blue light-emitting electronics before bedtime. Or, like me, test out a pair of orange glasses. Jordan Gaines Lewis (Editor-in-Chief) is a 5th year PhD candidate in the Neuroscience Graduate Program studying adolescent sleep and obesity with Alexandros Vgontzas, MD. She is also a science writer whose work has appeared in NBC News Health, Scientific American, The Washington Post, The Guardian, and Psychology Today magazine. 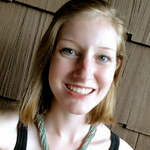 Jordan enjoys reading, running, and knitting in her spare time.